Apartmani Domazet has well-equipped accommodations featuring free WiFi in Trogir, a 7-minute walk from Trogir Green Market and 0.4 miles from Park Eks Fanfogna. All air-conditioned units include a fully equipped kitchen, allowing guests to prepare their own meals. A dishwasher and coffee machine are also offered. Popular points of interest near the apartment include Trogir Town Museum, Trogir Bus Station and Radovan's Portal. 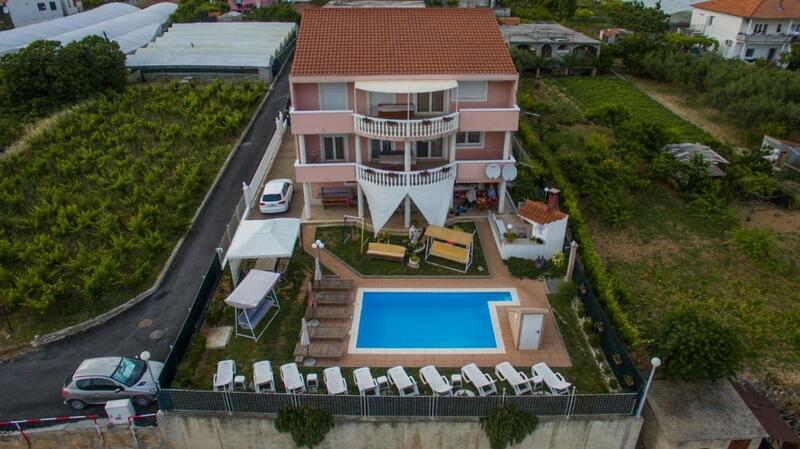 The nearest airport is Split Airport, 3.7 miles from Apartmani Domazet. When would you like to stay at Apartmani Domazet? House Rules Apartmani Domazet takes special requests – add in the next step! Please inform Apartmani Domazet of your expected arrival time in advance. You can use the Special Requests box when booking, or contact the property directly using the contact details in your confirmation. We need at least 5 reviews before we can calculate a review score. If you book and review your stay, you can help Apartmani Domazet meet this goal.